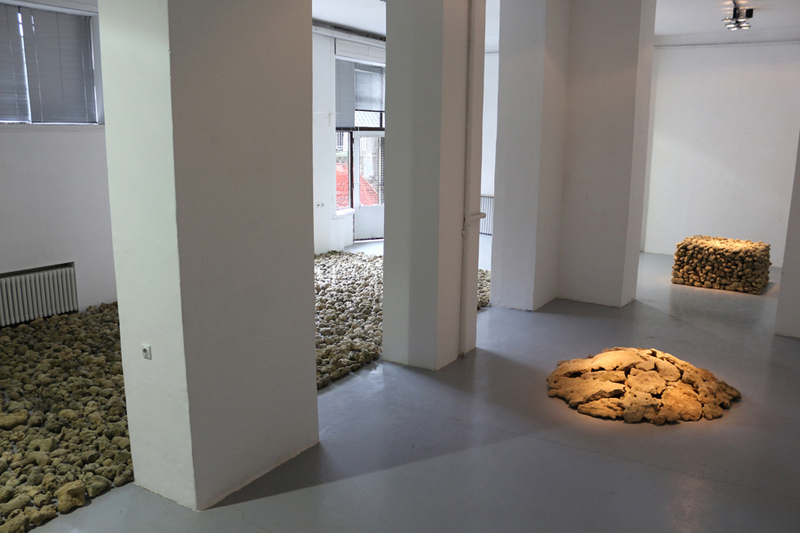 “Sets” is the title of the new series of Panić’s works, a term borrowed from the conceptual framework of the mathematical, formal set theory. 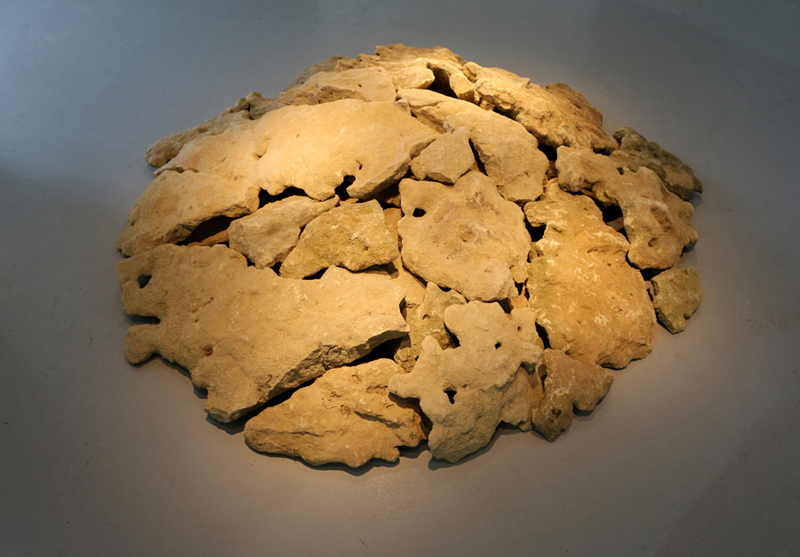 It should be seen as the author’s necessity to re-think the ontology of the artwork – sculpture. These works belong to the long-standing tradition of neo- and post- Avant-garde, post-minimal, Land Art projects resuming the question the artwork’s ontology within the Nature vs. Culture dichotomy. 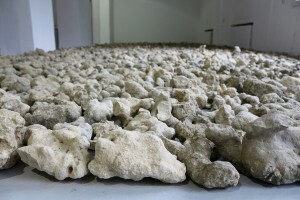 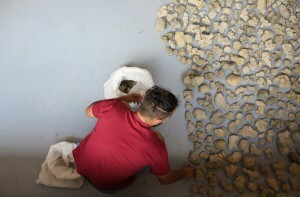 With the appearance of post-minimal artistic practice, the public space becomes a non-place of an artistic work within which the exhibited material “represents” what “falls out” from the process of naming an artwork (time, nature, body etc.). 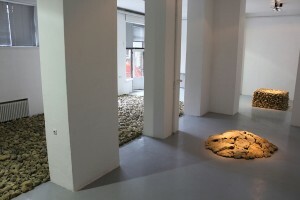 The author reflects upon the artwork in terms of multiplicity, formed by “adding” and “subtracting”, “deconstructing” and “re-constructing” elements which on one hand belong to the physical place (site) – the axis of a “physical”, “raw” reality (nature), and on the other, the non-place (non-site), which is a precondition of the gallery space (culture). 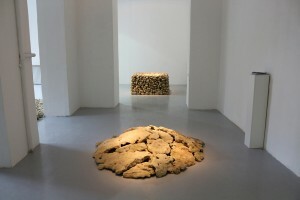 Sets, in this sense emerge from the void between the non-place-gallery space-abstraction and the place as a physical, focal point of the sculpture’s origin. 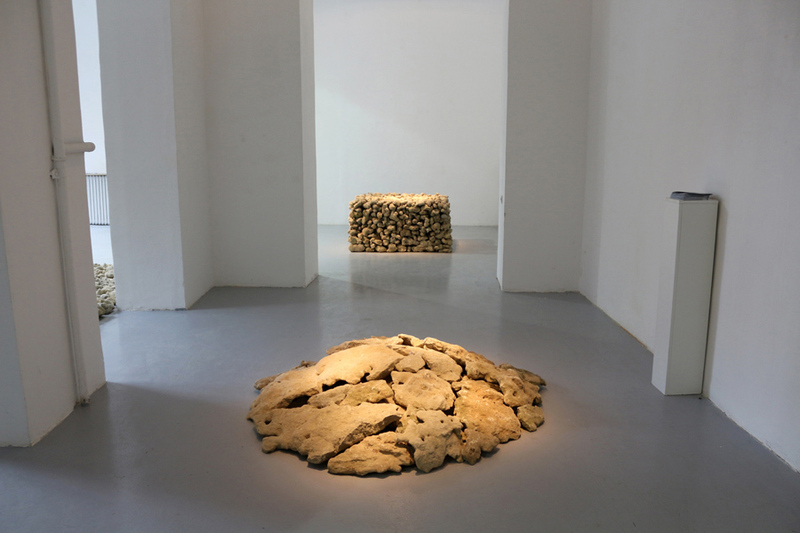 Set-sculptures in this process imply a multiplicity which is common both for the place, as well as the non-place. 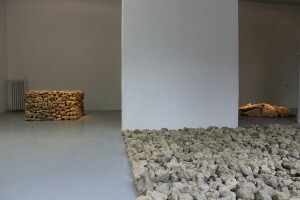 The naming of the set-sculptures by the author could be seen through Smithson’s (Robert Smithson) “open border” term, which expresses a resistance to the “closed border” of the non-place – namely, the gallery. The dialectic of the place and non-place, in which the author reflects upon sculpture, is nothing else than rethinking the time and space of a work in which it appears – from the aspect of exploring the border between nature and culture. 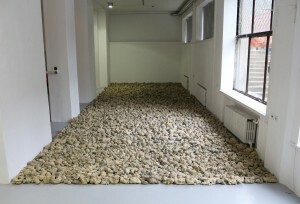 In other words, Sets bring us back to the old neo- and post- Avant-garde, today largely neglected and forgotten thesis, that art is not isolated in terms of the locality of its production, but represents a process characteristic of equally culture and nature. 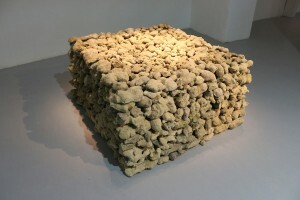 Sculpture accordingly isn’t a conceptual after-thought or abstract spatial conceptualization in relation to what space has to offer ; it lives together with the place of its own creation. 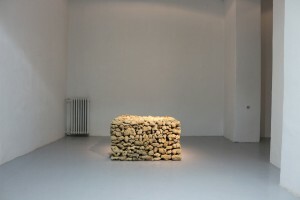 Set-sculptures in that way express a certain critique of the traditional, dominant and anthropocentric conception of culture which in a systemic metaphysical sense appears as a product of autonomous Human activity (Will) . In other words, at stake is a critique of perceiving nature as a passive, ahistorical, idle element during the process of production. The ontology of such a sculpture is the ontology of immanence.